Let’s have a list of some values. The values are taken every day. 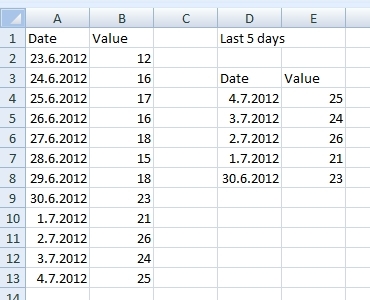 The task is to create chart showing only last 5 days from today. 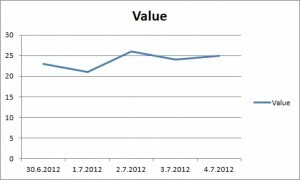 Charts must be updated automatically. 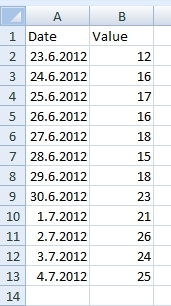 Important: I wrote this on 4.7.2012, so for this example is 4.7.2012 the current date. 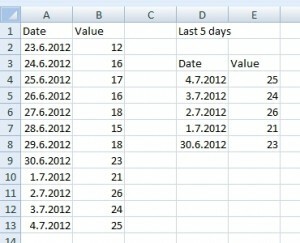 We create a new table that shows only last 5 days from today. 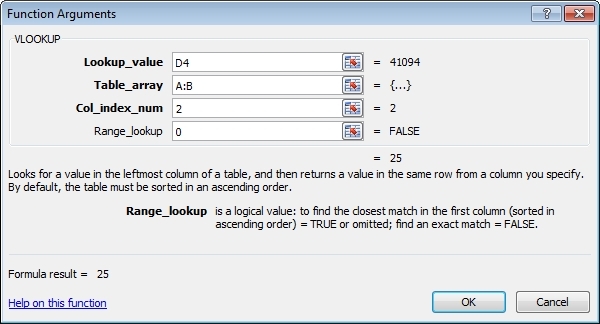 Argument “Table array” is A:B because we need include all values in column A and B. 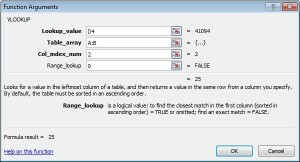 Therefore, we can add more values to the list of dates and this formula will work correctly. We create new chart from this auxiliary table. 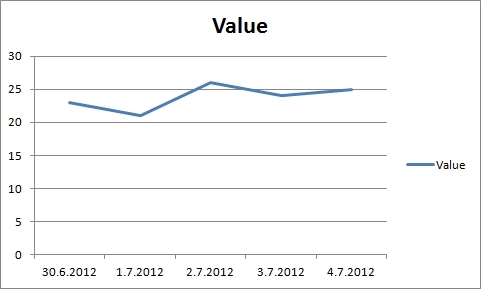 I choose Line chart, but it’s up to you which one you need.